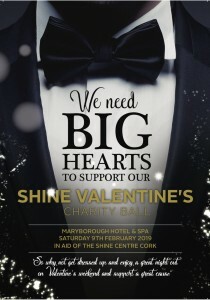 Given the current commentary surrounding the operations other charitable organisations I feel it is important on behalf of the Board and staff of Shine Ireland that I reassure the many children and families that we work with about the operations of our organisation. – Shine does not collaborate with this national autism organisation on any service programmes, autism awareness, advocacy or fundraising initiatives. We are a standalone, independent, voluntary organisation with its own Board of Directors and governance policies. 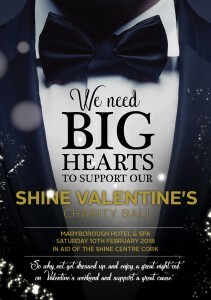 Shine Ireland is a client focused and child centred organisation and will provide in excess of 19,000 client contact hours this year to our children and client families. – We are working with between 70 and 80 children, adolescents and their families at any given time through our Early Learning Unit, PALS Programme and Building Blocks services. – Our Family Support and Advocacy Service works on approximately 250 cases each year. Our Advice Line handles in excess of 2,500 calls per annum. – All of our services are free at the point of delivery to our children and families and we do not charge an annual membership fee. 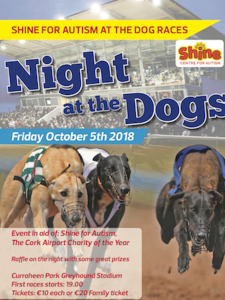 – Shine’s services are funded through grant aid and direct payment agreements with the HSE and Department of Education and the generosity of the many people and companies that support our fundraising efforts. – All of our services operate at maximum capacity and we have always endeavoured to incrementally increase our services over the last number of years. Unfortunately it is not possible to make places available on our programmes to all of the families who seek those places. This is something that as an organisation we are keenly aware of and we are constantly working on ways to increase the number of places we can offer. 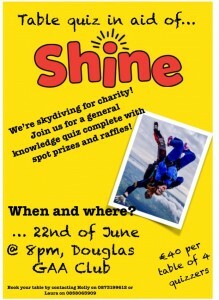 Shine Ireland/Irish Progressive Assoc for Autism Co Ltd. Given the current controversy and uncertainty in the charitable sector I feel that it is important to reassure our many client families, donors and corporate supporters about the management and governance of our organi- sation. This type of uncertainty can be hugely upsetting for the people who support or rely on charitable organisations and therefore it is important that I outline the governance and compliance procedures at Shine. – All Directors of our organisation act in a voluntary capacity and are unpaid. – Directors are not paid consultancy fees, expenses or any other indirect payments. – None of the Directors are employed in the organisation. – None of the Directors are related to each other. – The organisation is governed in full compliance with our Memorandum and Articles of Association per the Companies Acts. – All Board members are registered as Directors with the Companies Registration Office (CRO) and with the Charities Regulatory Authority. – The organisation produces independently audited accounts for each financial year. These accounts are scrutinised by the Finance Committee of the organisation prior to approval by the Board of Directors. Copies of our financial accounts are then lodged with the Companies Registration Office per our filing obligations. 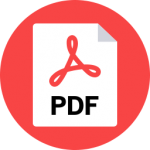 – IPAA Co Ltd/Shine Ireland is up to date with all fillings to the Charities Regulatory Authority. – IPAA Co Ltd/Shine Ireland is fully compliant and up to date with all returns to the Revenue Commissioners under the terms of our grant of charitable status. – The organisation holds just one credit card and receipts are required for all transactions. Cash withdrawals of any kind are not permitted.